Q: Could you provide our readers with a brief introduction to Faladdin? 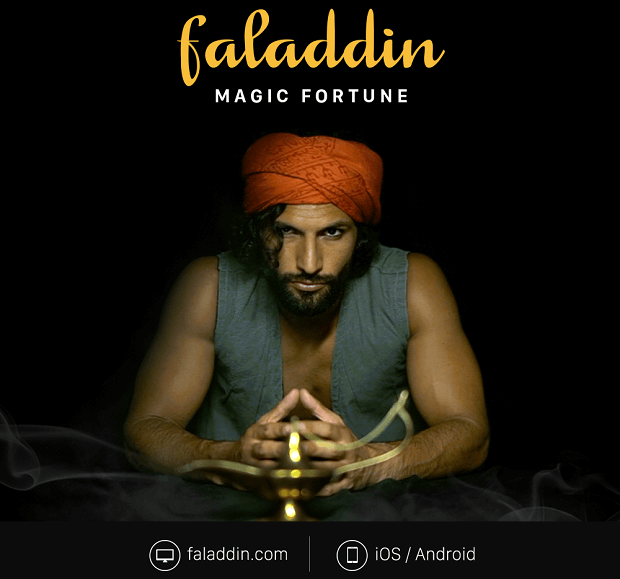 A: Faladdin is an Artificial Intelligence fortune telling app! The service is free, instant and caters more than 15 million users, 5 million being active on a monthly basis, which is available in English, Turkish and Arabic. Faladdin offers individual analysis about life by combining its deep learning skills and ancient knowledge of mystical disciplines like Tarot, Astrology, Clairvoyance and Coffee Cup Reading. Q: How intelligent Faladdin is? A: Since Faladdin’s artificial intelligence is being developed constantly, we may soon need to change the question “What is Faladdin?” into “Who is Faladdin?” and, he may reply to you directly. Faladdin sheds light on the future by evaluating person’s past and making inferences about present. Q: What is the best thing about Faladdin that people might not know about? A: Inspiration struck me in 2010 when ma and my friends were enjoying Turkish coffee over dinner. I explained that to my mom, a fortune teller in her free time, could read their fortunes from Turkish Coffee Cups (traditional way of reading fortune in Turkish and Middle Eastern culture). Intrigued by this, me and my friends sent the pictures of their coffee cups, and received their readings back from my mom via email 15 minutes later. I realized a potential market opportunity, and launched a blog where users sent photos of their coffee cups directly to my mom. After this market test, approximately 1 months with free version, I opted to change the concept to a paid marketplace that connected independent fortune tellers to users. I partnered with Kaya Diker to develop the site, and both decided to focus on “Binnaz” full time in 2012. Despite this success, we sought a more scalable, tech-centric approach. As a result, in January of 2017, we launched Faladdin, an automated, daily fortune reading app which to date has received 15M total downloads across 112 countries to date. Some things need to be experienced to be understood. Don’t hesitate, download it and come in! See it yourself! Q: I read something about your plans to enter the US market; could you tell us something more? A: Currently, Faladdin is available in English and expanded into the US App Store and Google Play market in February 2019. The app leverages an A.I based algorithm to provide users with a Tarot Card, Clairvoyance or daily Coffee Cup Reading based on their demographic details. 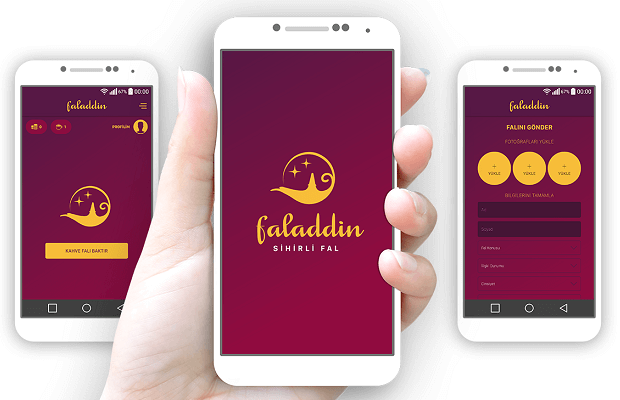 For “Faladdin”, the growth lies in the strategy of expanding the product range with culturally tailored products; such as Tarot Card reading in the US, Astrology in India, Coffee Cup Reading in MENA. Also, investing in the Artificial Intelligence technology. A: The ultimate goal is to expand Faladdin’s capability to tackle various tasks, including entertainment, dating, well-being of the user and offer companionship. The company believes the algorithm could rely on the data collected from the user, and leverage this to predict the expected behavior by the user, and enhance his/her life. You could think of a Siri like product, which offers information about the future, and predicts the need even before it happens. Faladdin will be a life companion, rather than an entertainer.